Each Christmas when we were kids, we got one of those advent calendars that you opened to count down the days until the big day. The ones we bought always had nasty chocolate inside, but this one sounds much better. 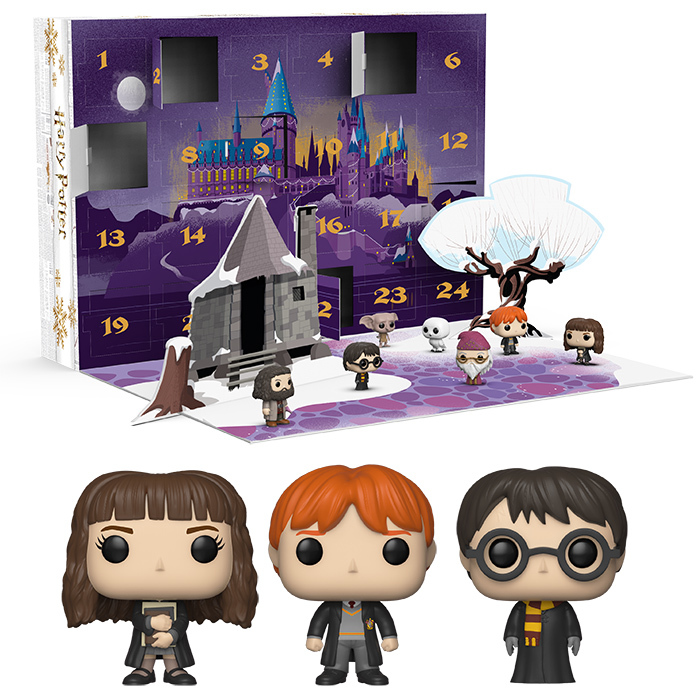 It’s the Harry Potter Advent Calendar, and with each flap you open you get a Potter Funko Pocket Pop figure. In all, there are 24 1.5″ tall figures in the calendar. Among the figures are Harry Potter, Hermione Granger, and Ron Weasley, and three (unspecified) figures are ThinkGeek/GameStop exclusives. It’s not cheap at $39.99, but it’s better than any cheap Walmart calendar with “chocolate flavored” candy inside that won’t even melt and leaves your mouth greasy.